Michael James Johnson for short. Michael grew up in Portland, Oregon. After graduating from the University of Oregon, he moved to Los Angeles where he got his first experience in film as an Art PA. Soon after, Michael started shooting a number of experimental short films and music videos for his friends' bands in LA. 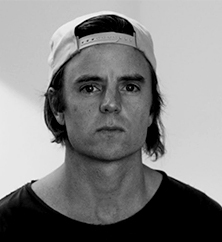 In 2008, he began directing branded content for Adidas Originals. Michael wrote and directed his first feature film, ALL THE WILDERNESS, produced by Super Crispy, which premiered at the 2014 South by Southwest Film Festival. The film was acquired by Screen Media Films and distributed theatrically in 2015.